Canara manufactures fill support grids both in GRP and in stainless steel grade 304 or 316. Resistance of GRP grids to acids , alkalis, salts & oils is rated excellent . Mechanically the GRP grids takes advantages of tensile strength exceeding 30, 000PSI. - Std. Pack 3000 Nos. 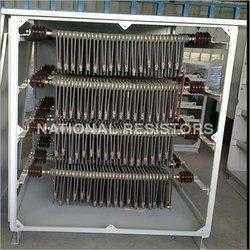 Keeping in mind the diverse requirements of our customers, we offer a wide range of SS Grid. This SS Grid is available as per the specifications given by the clients. We offer quality approved and highly durable SS Grid to our customers. 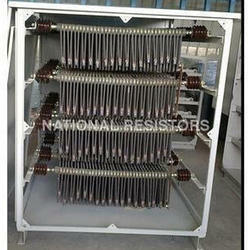 GSCTCL fill suport grids are made in stainless steel wire. It is designed to kep fill splash bars horizontal and also to take load of water as well as fill during operation. It is available for treated timber splash bars or PVC rectangular splash bars, PVC V type splash bars fills. Rai Cooling Tower (indore) Pvt. Ltd.
Ss Welded Stainless Steel Jali, for Pharmaceutical / Chemical Industry, Size: 1/2"
We are a manufacturer, wholesaler, and retailer of the wide assortment of Wire Mesh. The product is admired for their excellent strength and long service life.